If you are planning on visiting Europe and are undecided about when to go? 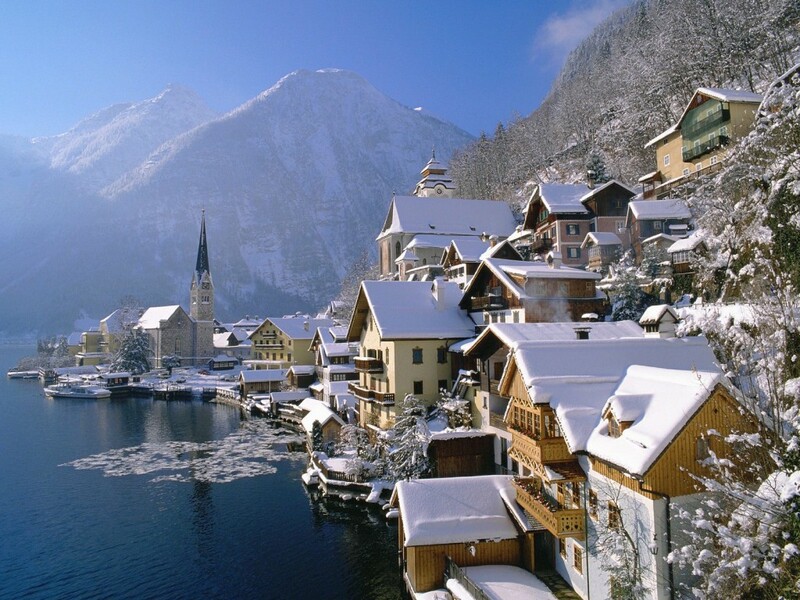 Then read on for an essential guide on what to expect from visiting Europe in summer or winter. Europe is a popular destination at any time of the year but particularly in the warmer months of summer. With a staggering 563 million international tourists landing in Europe in 2013 alone, it might be a good idea to do a little research about when is the best time to travel. Summer and winter are polar opposites in Europe and tourists who come from milder climates may not have even considered travelling in winter. Your travel plans may be dependent on a number of factors, such as your travel budget, when you are able to take your holidays, building an itinerary around a certain event or the type of experience you are seeking. Both seasons have their own unique charm but can also have their drawbacks. Summer is extremely busy with millions of tourists descending on every capital city in Europe. When we imagine summertime in Europe our thoughts may linger towards the promise of long sunny days and mild nights spent in quaint little outdoor cafes, sipping on wine and watching the world go by. The actual reality is that every other tourist has the same idea and is very likely taking your seat in the restaurant and sipping on your wine! The weather is a big tick as it will be generally mild to warm and even quite hot in some parts of Europe. Great weather allows you to be out and about exploring the streets, or frolicking on the beach in resort towns. 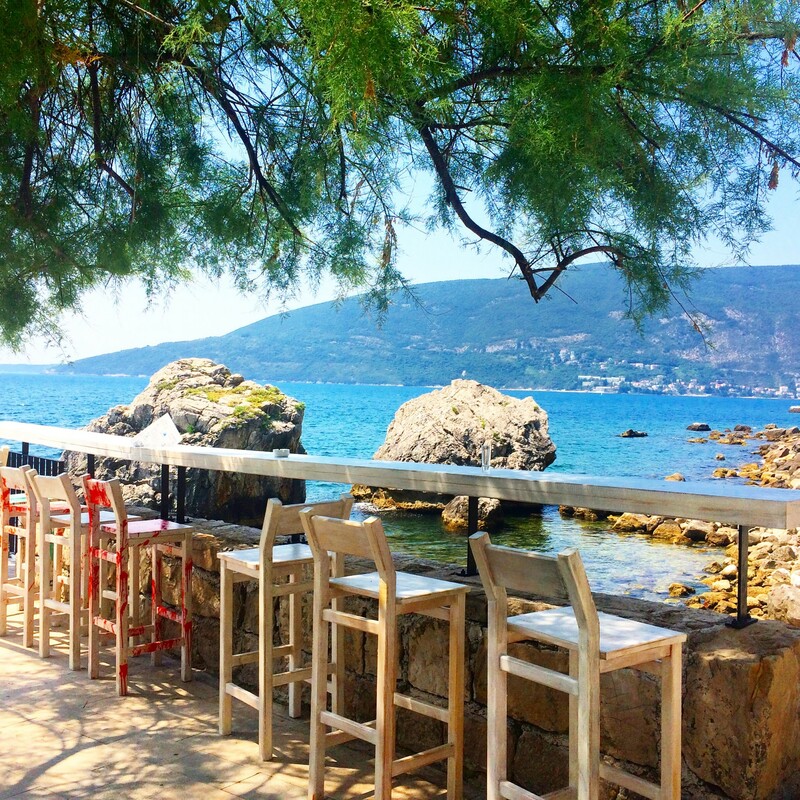 Outdoor dining is very much a European affair due to the lovely weather in summer and many hours can be spent people watching as you sip on your wine or coffee. Days are long with typical daylight hours from 6am to 10 pm allowing plenty of time to fit many activities into your day. You can pack a lot lighter in summer, there is no need to lug heavy coats and boots around leaving plenty of room in your suitcase. Tourist attractions will be open and in full swing and offering extended hours. With lots of people around there are opportunities to meet and connect with fellow travellers from all over the world. Everything is in demand! The little hotel you had your heart set on may be booked out well in advance and quite possibly your second and third choices as well! Hotel prices are inflated for the super peak tourist season. Flights are traditionally more expensive. Restaurants will be overflowing and you may find yourself on the end of a long queue waiting for a table. Or you may be rushed out the door once you have finished your meal as your table is in demand! The sunlounge at the beach resort will more than likely be reserved with someone else’s towel long before you even thought about having breakfast. Tourist attractions are busy with mile-long queues, and often you may be standing out in the stifling hot sun. Tour groups will be constantly in your space and other tourists will be jostling you for the best viewing position of the Mona Lisa. A walk through the Sistine chapel will have you constantly feeling like you have stepped on a moving conveyor belt as you are propelled forwards by the crowds, never having the opportunity to properly look and reflect on what you are seeing. Hours spent in the queue for the lift at the Eiffel Tower or at other attractions can seriously put a dent in your schedule, especially if you don’t have a lot of time in a particular city. The peak summer season also brings out a greater number of scam artists looking for the naive or unsuspecting tourist. Watch out for bag thieves as they are in greater numbers during the summer. The off season has its own charm in the cooler months. Winter can be a magical time with brilliant misty mornings, dew on the bare trees sparkling in the winter sun or watching the snow gently falling across rooftops and the landscape. It can be a photographers dream. During the Christmas festive season, Europe is transformed into a winter wonderland. Things generally move at a slower pace and there are a lot less tourists about than during the summer months. Rejoice as you step out for a stroll, effortlessly blending in with the locals, as there are far less tourists around. Experiences and encounters with people are more genuine. You may still have to line up for some of the major tourist attractions like the Eiffel Tower but the queues will not be as long as they are in summer, so you will waste less time. This is especially important if you have limited time in a certain city. With quieter attractions, you will have the freedom to move around at your own pace. Weather may not be warm but you may be lucky enough and get some days where the sun comes out and makes that winter chill bearable. Or you may experience for the first time the majestic snow falling on rooftops making for the most beautiful photographs. Winter affords a chance to wear those super stylish coats, boots or don a scarf that immediately adds some chic to your new European look! With the ski resorts close by winter sporting activities such skiing and snowboarding in the Alps might have you admiring the snow capped view from your chalet. You will have the pick of the restaurant seats, sit by roaring fires, dine on winter comfort food and receive attentive service as there is a good chance you will be the only ones in the restaurant, especially if you eat early. Christmas time is a wonderful time to see Europe from beautifully decorated streets with catenary lighting, the many Christmas markets throughout Europe and the general hustle and bustle of Christmas shopping. Markets begin in late November and finish in early January. Hotels are cheaper with off peak discounts, and airline tickets are slashed for this quieter period, so there are plenty of deals out there that will be kind to your wallet. Depending where you are, it can be bitterly cold in the north of Europe and you need to be prepared with plenty of warm clothes, winter coats and thermals. Inclement weather can halt flights if fog is very heavy, snow can hamper public transport, or worse still, leave you isolated if not cleared. Weather can be unpredictable and being caught in a hail storm whilst waiting in a tourist attraction queue may not be one of your better ideas and leave you questioning why you came in winter! Some attractions may shut down over winter period or have modified hours and close earlier. Public transport services can work on a limited timetable, especially over the traditional Christmas holiday period. Overall there are positives and negatives to both seasons and it just depends on what kind of experience you are looking for. As you said, it truly depends on your preference. I’m European and I absolutely hate traveling in the summer – it’s hot, busy, and expensive. My favorite months are April/May and September/October: you’ll still get warm/mild weather, but the crowds of tourists are slim and the prices are low. Although I also adore European winter: there’s nothing like a German Christmas market or visiting Stockholm when it’s blanketed in a dense layer of snow! Hi Yasmine, thanks for your comments! My experiences are from a tourist perspective and having just recently spent my first Christmas in Europe I was pleasantly surprised at how different it was. It may have been cold but the weather was sunny and I found the lack of many tourists quite surprising! I totally agree with you, the Christmas markets are amazing, it’s a lovely time to visit! Summer is my favorite season, but I love those snow pictures of Amsterdam and Germany in the winter. What’s country or city I must go for Christmas market?? There are a number of countries and cities you should check out for Christmas markets in Europe. The most popular ones are in Germany in Cologne and Dresden. In France there is Strasbourg (which is the oldest Christmas market in Europe) and of course the Champs Elysees in Paris. Belgium has one in Brussels. In Switzerland there is Basel. In London you have the Southbank Christmas market or there is the Winter wonderland which has lot’s of rides too. I hope this helps you decide! I hear that the spring time is very pleasant, thanks for re-affirming that it is. I’ve only been in summer and winter, so next time I’m aiming for the spring! Which season is the cheapest option for visiting Europe?? Hi Andi, the cheapest season is winter. The cheapest months in winter are November and January. December is a great time to visit if you are interested in Christmas markets and festivities. If you don’t mind the cold then it’s a great time to visit. ?